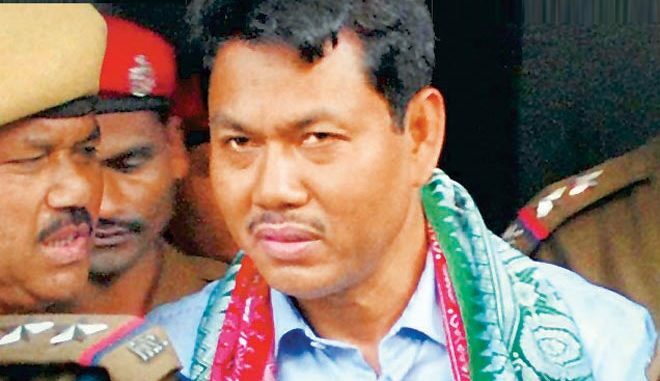 National Democratic Front of Boroland (NDFB) supremo Ranjan Daimary has been sentenced to life imprisonment by the CBI Special Court on Wednesday. Ranjan Daimary was on Tuesday found guilty of being the mastermind of the serial explosion on October 30, 2008. Another ten found guilty in the crime were also sentenced to life imprisonment, while three others were fined and imprisoned for five years for their involvement in the heinous crime. Meanwhile, the councel for Ranjan Daimary, Manas Sarania said that he was not satisfied with the verdict as there were no adequate evidence against the accused. He also said that that he will challenge the verdict in the High Court. Earlier on Tuesday, in a landmark judgment, the CBI Special Court pronounced prime accused NDFB supremo Ranjan Daimary guilty of the horrific serial explosion in Assam on October 30, 2008. Earlier on Tuesday, the NDFB stated that the conviction of its leader Ranjan Daimary and others by the CBI Special Court in Guwahati would not augur well for the on-going peace talks between the outfit and the Government of India. In a statement e-mailed to the media, the NDFB general secretary, B Ohnjalu stated that in view of the conviction of its leader Ranjan Daimary, the outfit would be forced to reconsider the purpose of the peace process and re-evaluate the earnestness of Government of India in case its president Daimary is sent to jail. The NDFB, therefore, appealed to the Government of India that the judgment to be declared January 30 should not derail the peace process and NDFB president should be released on bail as early as possible.